We only use the best chocolate available to give you a high quality product that melts easily and stays melted during your event! *Client is responsible for table and linen and providing electricity to the table with a 3-prong outlet. ***Additional charge may be applied for events outside of the Houston area. Contact us for details. 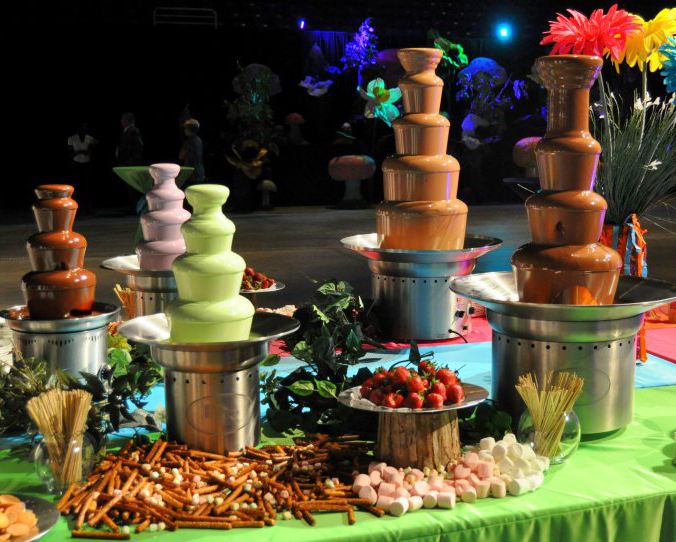 Add a 25″ fountain to any event for only $175 or 19″ for $150!